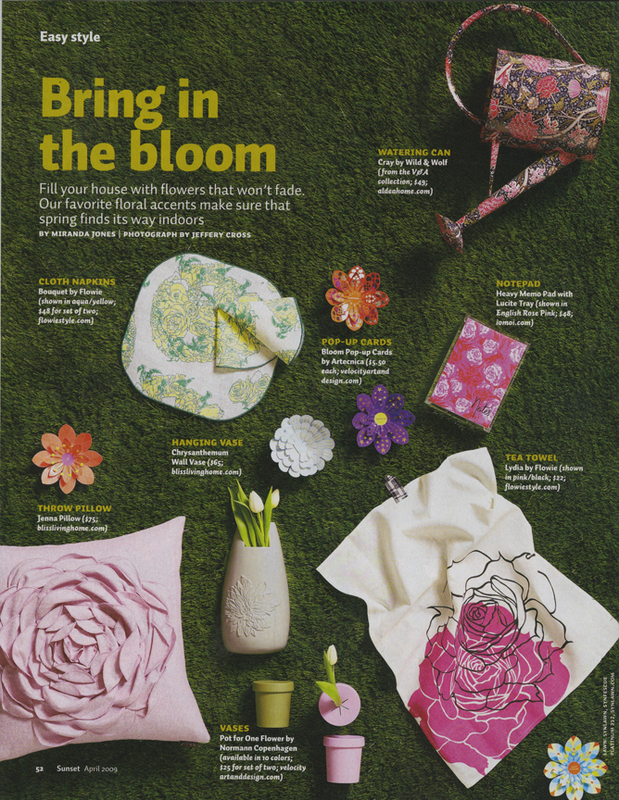 2007 BFA Textile Design Graduate, Ya-Ling Hou, recently had products from her line “Flowie” featured in Sunset magazine. 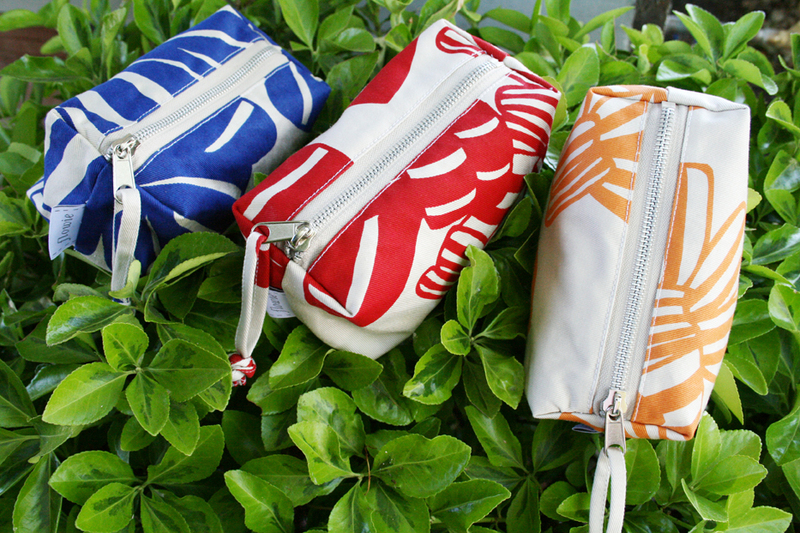 Ya-Ling designs and manufactures fabrics, bags, home accessories and other fashion accessories. She launched “Flowie” in 2007. 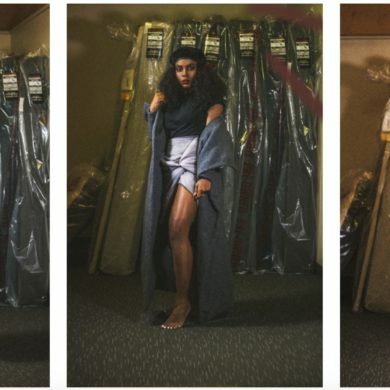 For her Graduation Fashion Show in April 2007, Ya-Ling collaborated with Shannon Galati, BFA Fashion Design, on a collection based on 1960s shapes and optical art. 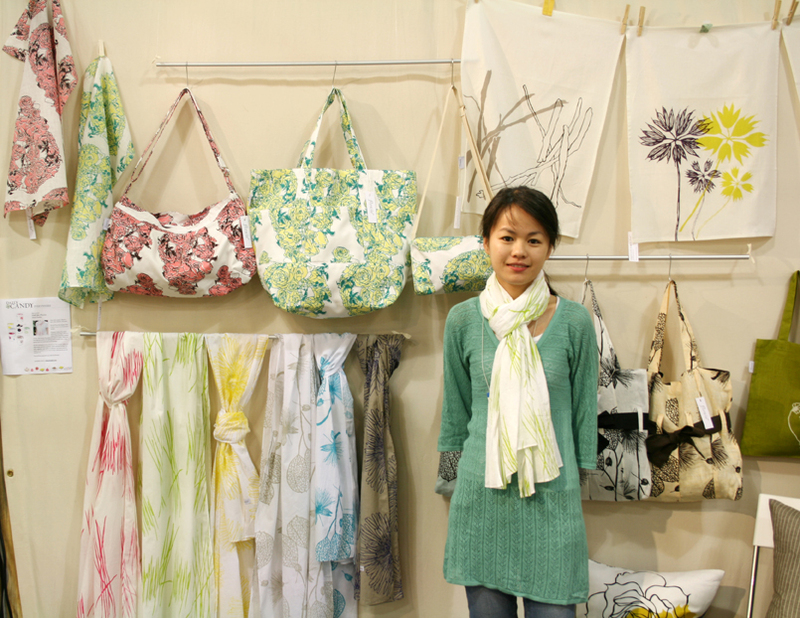 Earlier that year, she was the Grand Prize Winner of the SURTEX 2007 International Student Design Competition for her paper product designs, which included gift boxes and bags, wrapping paper, photo albums, journals and note cards. She received a $1,000 cash prize and a trip to the 2007 edition of SURTEX, including round trip transportation and hotel accommodations, plus a one-week internship. Ya-Ling was born and raised in Taiwan. She currently lives in Menlo Park, California and finds inspiration in everything around her – nature, cultures, photography, and cinema. Her creative process usually begins with line drawings, which she then scans to work on the layouts and complete her designs. She likes working with both traditional hand drawing and modern computer graphic design. The inspiration came from my husband’s niece, who is a Japanese college freshman and loves to dress up cute and girly. What has the response been after Sunset magazine hit the newsstands? It has been great. 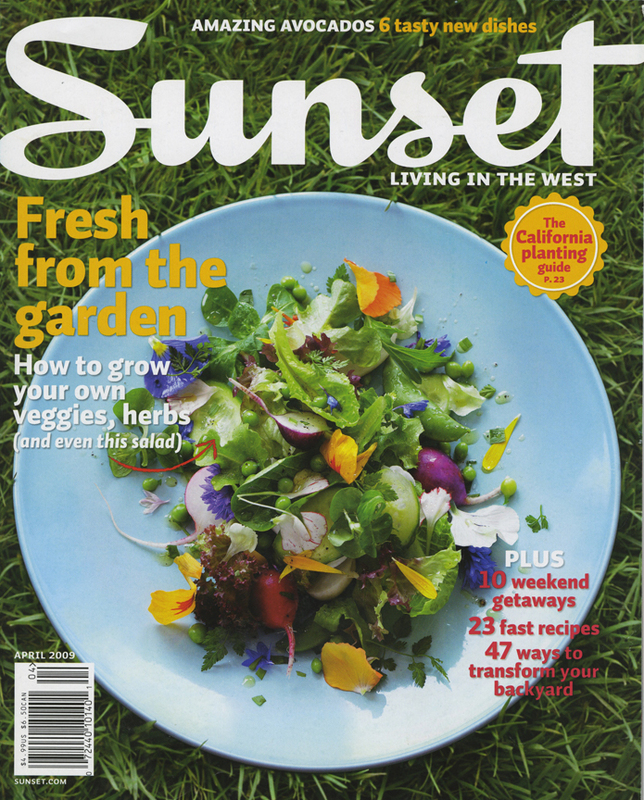 The people at Sunset magazine are just wonderful, and the readership of the magazine is amazing. People will ask me, “Are you the flower girl in Sunset magazine?” or “I saw you while reading on the airplane” and “I read about you when I was waiting for my dental appointment”. Food, definitely. I also love the diversity of the city. The facilities are top-notch. The curriculum is excellent. You begin learning from the very basic illustration and sewing, and build up your skill from there. Trust me, you’ll appreciate it when you start to work. TV shows. I’m busy with our house renovation and my business, so I don’t have much time to go out and travel. TV shows are my great sources of characters. I love to observe people. Designing and drawing my new collection.